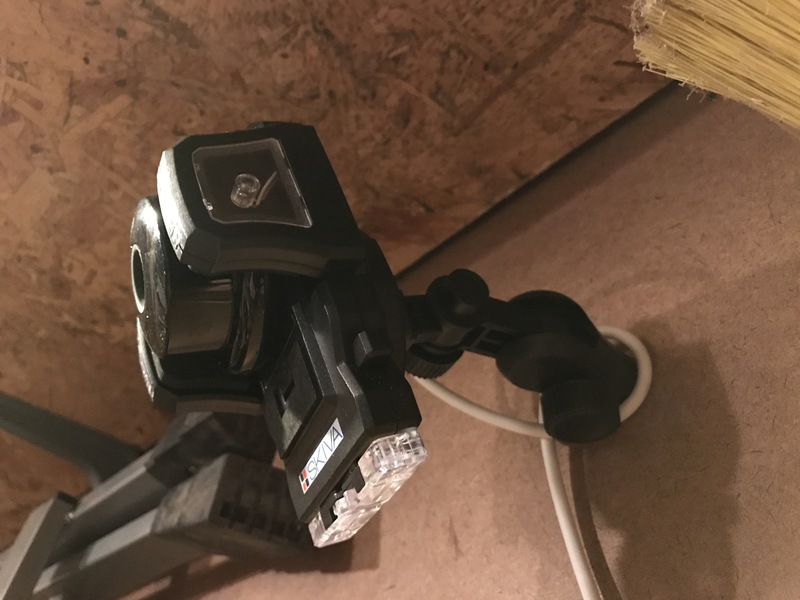 I’m usually very good at keeping parts, but for some reason, a couple of months ago, I threw away all of the mounting brackets for an old Dropcam. 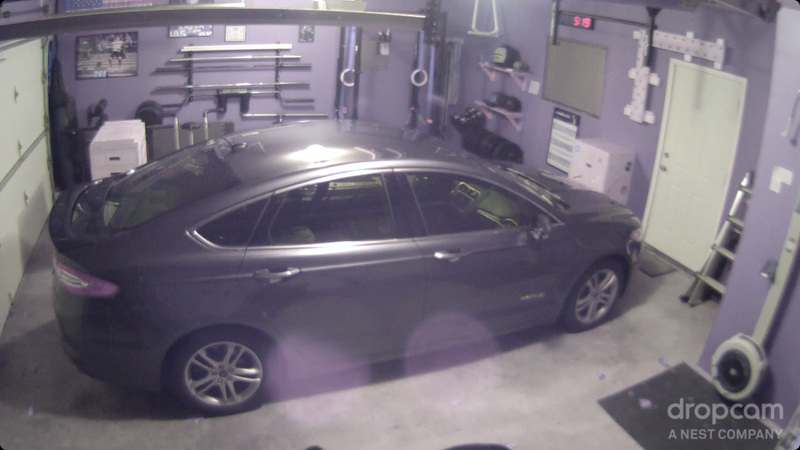 Sure enough, I moved the camera to the garage and had no way to mount it. It had been sitting on my vise shelf ever since. While cleaning out the closet in my office this weekend I came across an old cell phone car mount. Took apart one of the elbow joints, removed the big suction cup from the bottom, and screwed the whole thing directly into the wall using a longer screw and an anchor. It squeeze around the camera for a solid hold, but I looped the cable around the bracket just in case the arm springs fail at some point, so it won’t go crashing to the floor. Getting it up high provides a better view as well.